High scores, and mad skills. 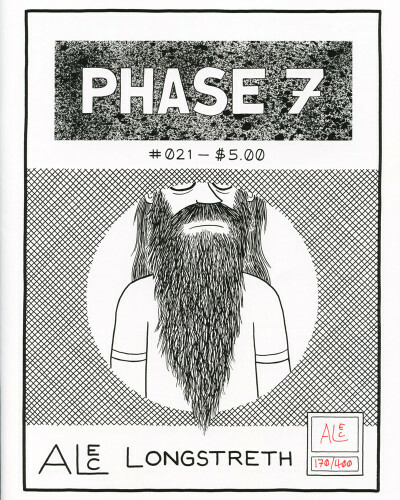 Category: zines. 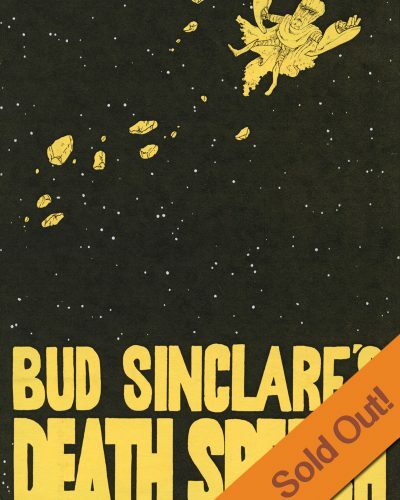 Genre: Nonfiction. Concerning: bullies and skill and strategy. Drop Target is a zine all about pinball, written and illustrated by comics makers, Alec Longstreth and Jon Chad. 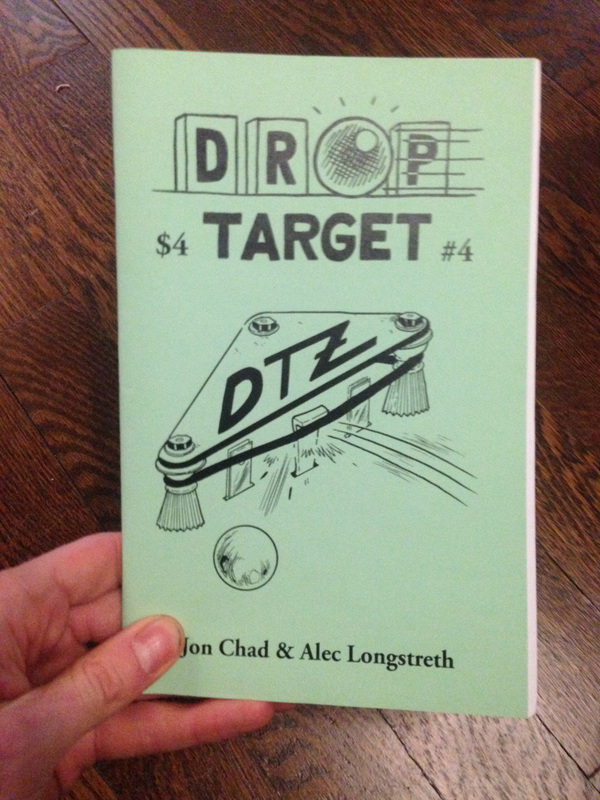 Written with an enthusiasm and an obsessive attention to detail that both Jon and Alec are notorious for, Drop Target is a very fun and hefty read. 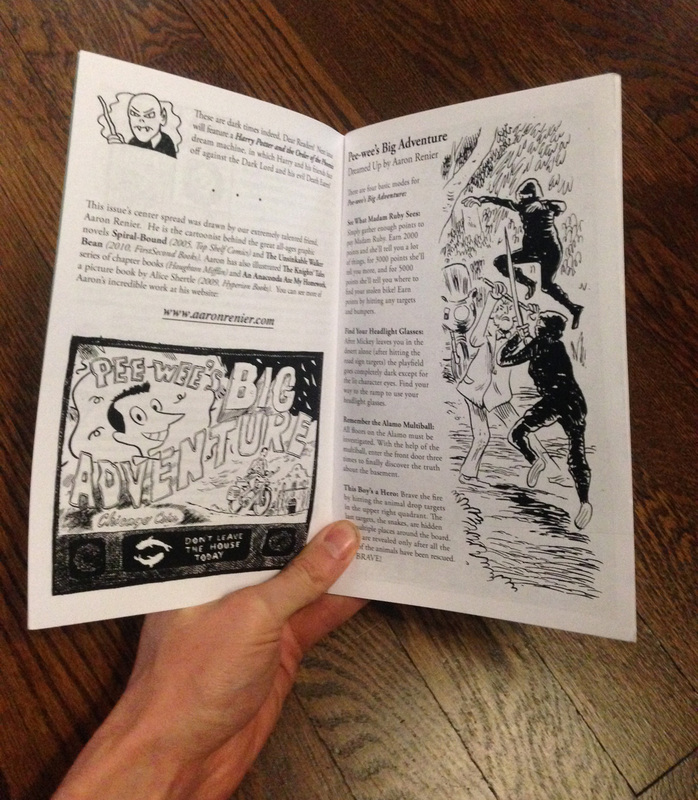 Alec and Jon became pinheads at the same time, and chronicled in these zines, is their journey from being novices to skilled players to owners of pinball machines which they have fixed up! 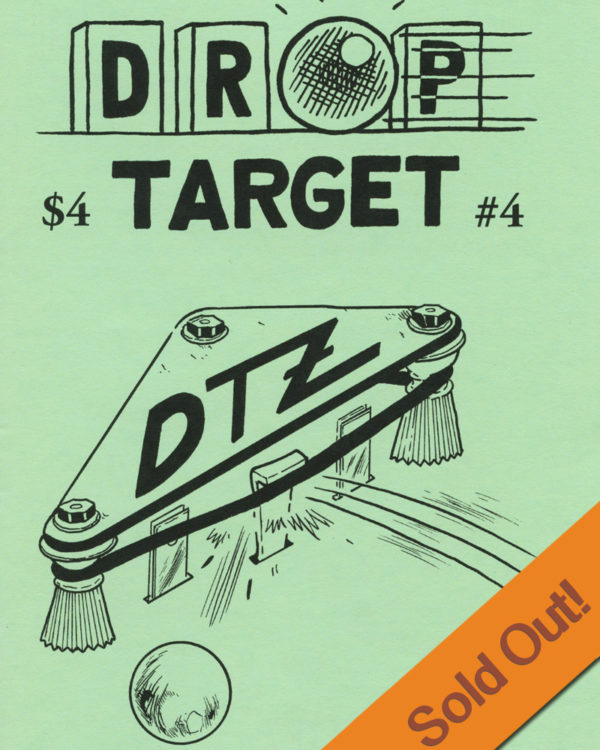 The zine contains a lot of regular features, including reviews of pinball games, pinhalls, and pinball-related videos. They interview legends in the pinball community, and even dream up their own pinball games based on books and movies they enjoy. Jon and Alec detail the world of pinball from the inner workings of machines, to the worldwide pinball community, and everything in between. 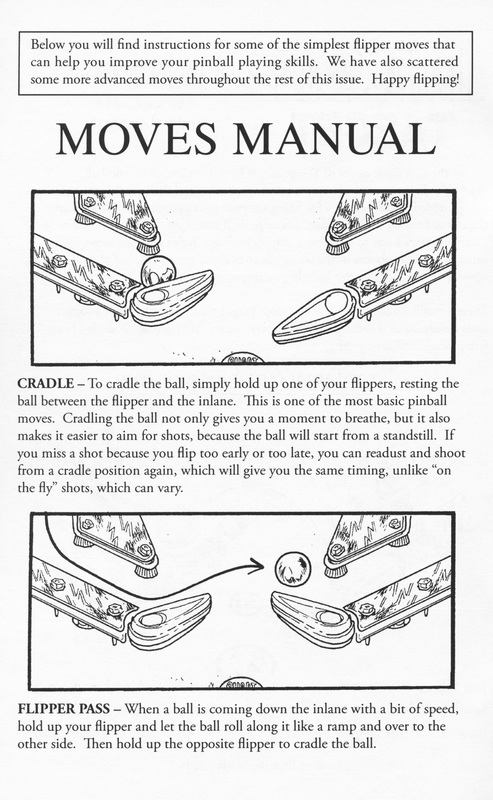 How to play pinball with SKILL! Reviews of the video, Pinball 101, the Pinball Wizard Arcade in Pelham, NH, Jon’s Jurassic Park machine, and a book of pinball art. Jon dreams up a Conan the Barbarian game, and Alec plans out a Harry Potter and the Goblet of Fire game! 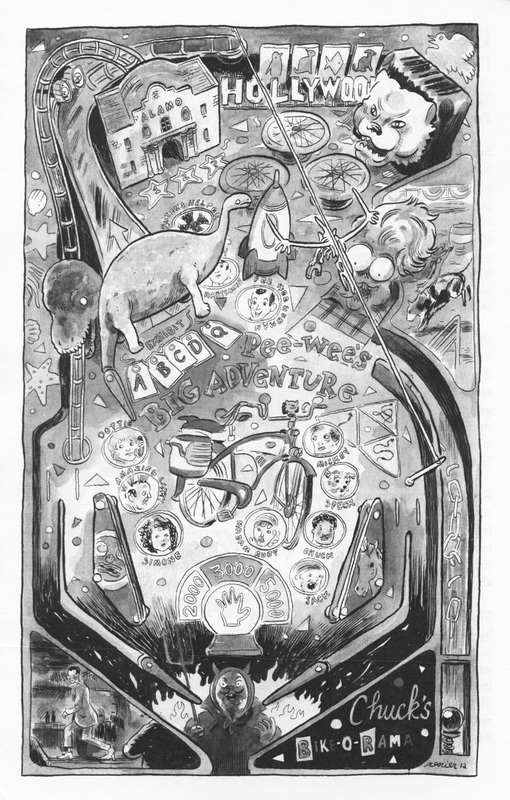 Guest artist, Aaron Renier dreams of a Pee Wee’s Big Adventure game! 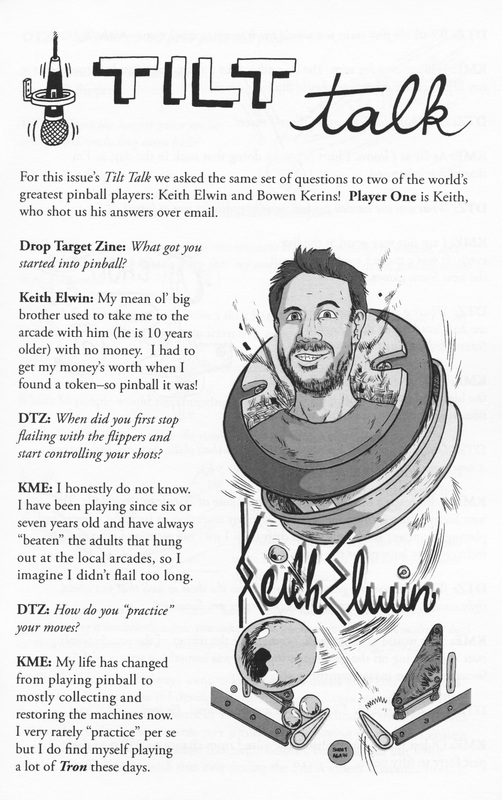 Plus interviews & stories of some of the world’s greatest players, Keith Elwin, Bowen Kerins, and…ALEC’S DAD? !